Antony works on a variety of issues in economics, with a focus on applications to environmental problems. His current research projects include work on climate change economics, discounting, and the political economy of policy choice. 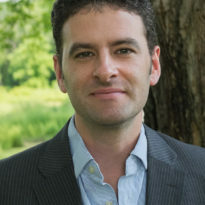 Antony completed his PhD at Oxford University in 2010, and spent two years as a Ciriacy-Wantrup Postdoctoral Scholar in the Department of Agricultural and Resource Economics at the University of California, Berkeley. He also has a Masters degrees in Theoretical Physics and Applied Mathematics from Cambridge University and the University of Cape Town. Antony welcomes prospective PhD students with shared interests, and strong backgrounds in economics or related disciplines. Do probabilistic expert elicitations capture scientists’ uncertainty about climate change? Should climate policy account for ambiguity?